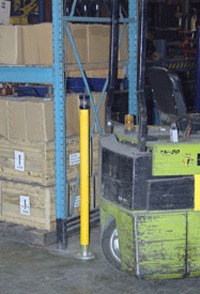 Spring Loaded Bollards The yellow powder coated bollard with spring loaded design alerts personnel that they are too close to the fixture being protected. A mercury switch activated warning beeper and strobe light is optional. This feature alerts the individual that they have hit the bollard and should stop. 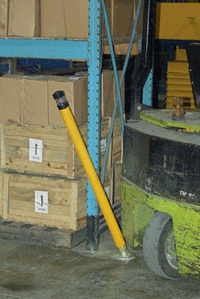 Units are 2-1/2" in diameter and stand 42" tall.